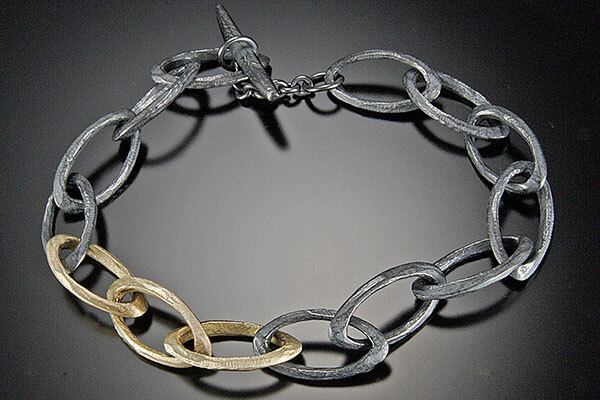 Dahlia Kanner, a 1996 graduate of Rhode Island School of Design (RISD), is a jeweler based in Rhode Island. She primarily uses sterling, gold, and platinum to create wonderfully textured jewelry, often incorporating gemstones. To read more about Dahlia's approach to design and her relationship with the circle, visit her website. I love Dahlia's comfort with contrast. 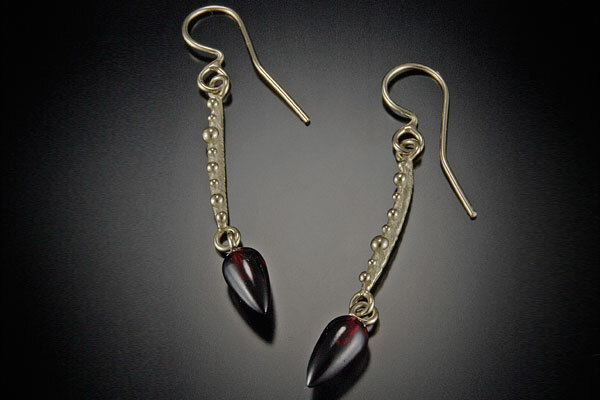 Dahlia can pair oxidized and polished silver with gold, or reflective textures on a smooth matte base. This is part of what gives her work such an organic feel - I can imagine Dahlia going into the ocean and creating molds from live creatures there. Her relaxed approach to incorporating gemstones into her jewelry also fits well with her use of organic textures. Below is a small selection of what I currently have at the shop. Please contact me for more information.